It’s fitting that Fun Home should open in Pride month, not least because it is an all-too-rare show that focuses on the L in LGBT+. But as stirring and gratifying and significant as it is to have a lesbian protagonist, this musical works because it is straight-up fantastic – an unabashedly bold queering of the form that reins back any notion of excess to reveal the simple truth that beneath it all, we all hurt the same. The end-of-year lists of favourite plays and performances should be on their way soon, once the food coma has abated, but to tide you over, here’s my list of 9 of my top moments in a theatre over 2016, the things that first come to mind when someone says ‘what did you enjoy this year’. For reference, here’s my 2015 list and 2014 list. I’ve been gazumped by The Stage in recognising this Islington fringe theatre for a stellar year but it is no more than Matthew Parker and his team there deserve. Over the course of 2016, intelligent and exciting programming has made the Hope into a must-see venue for me, no mean feat in a market already full of fringe venues and new ones opening every time you look up. 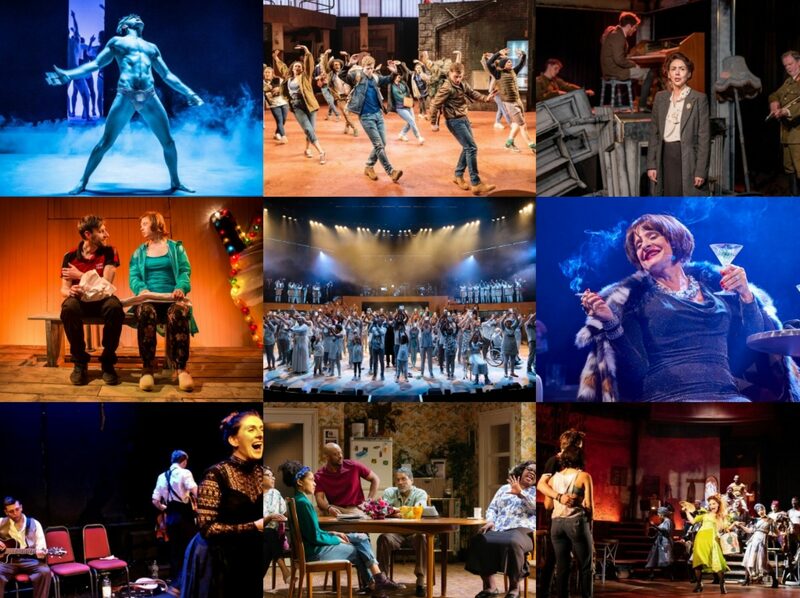 From promoting new writing to astutely chosen revivals, scorchingly personal writing to themed seasons culminating in delightfully campy lesbian musicals, this theatre has been on fire all year long and has made me excited to see every single thing they put – and there’s precious few places, large or small, that can say that. I’d have to see Harry Potter and the Cursed Child again before deciding officially whether it is a great piece of drama or not, but there’s no doubting that it is a stonking piece of theatre and the atmosphere at the very first shows was something quite amazing to be a part of, even from the back row of the balcony. The romantic sweep of Christine Jones’ set and Steven Hoggett’s movement, John Tiffany’s endlessly imaginative direction and of course, the masterfully jaw-dropping effects from Jamie Harrison. It felt like something I’d never seen before and in the case of Sprocket the Owl, it was something no-one else saw either! Marking the first major concert presentation of the show in over 20 years, The Hired Man in concert saw Howard Goodall and Melvyn Bragg’s 1984 musical take over the elegant surroundings of Cadogan Hall, for a glorious evening celebrating one of the all-time greats of British musical theatre writing. With a boutique orchestra conducted by Andrew Linnie, an ensemble of over 20 singers and a lead cast of bona fide West End and Broadway stars, it was a powerfully effective treatment of the material. Jon Snow is dead. Isn’t he? I suspect there’ll be a twist in the tail as far as the newly started sixth series of Game of Thrones is concerned but for the meantime, Kit Harington is alive and kicking his way through this raucous reinvention of Christopher Marlowe’s Doctor Faustus for The Jamie Lloyd Theatre Company. My 3 star review for Cheap Theatre Tickets can be read here. And my little preview piece from a couple of weeks ago is here.